Beautiful 2-story home in Thornton's coveted Signal Creek Neighborhood. Situated on a spacious lot with western exposure, this home features a covered front porch, a welcoming entry, formal living and dining rooms, a family room with 18-foot ceilings and updated kitchen complete with stainless steel appliances, new backsplash, double ovens, 5-burner gas cooktop and granite counter tops. There is a bedroom/office and beautifully updated bathroom on the maim level and a nicely finished basement! 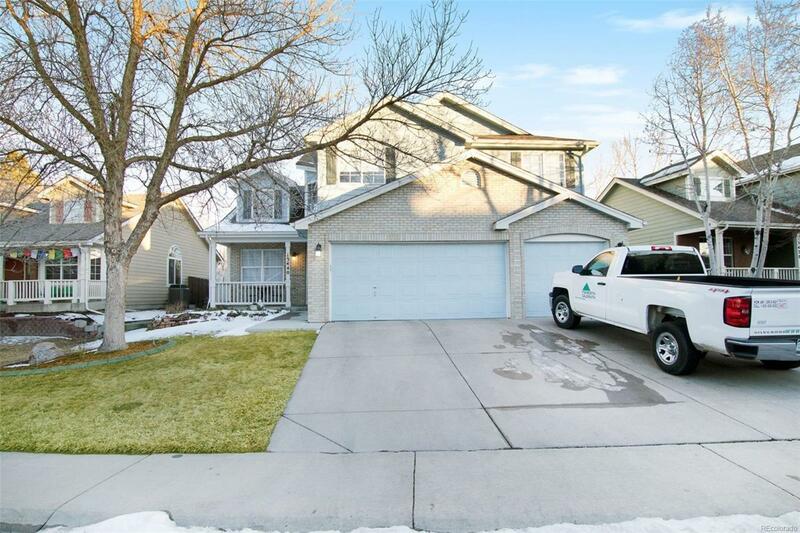 Enjoy the back yard with a newer concrete patio, mature trees and a privacy fence. There is a 3-car garage for your mechanical toys. Additional features include newer water heater (2018), laundry room, and 4 bedrooms on the upper level. This truly is a wonderful home.